Here at Motivating Systems, we don’t have a “staff” or “employees” — at least not as the business world defines those terms. 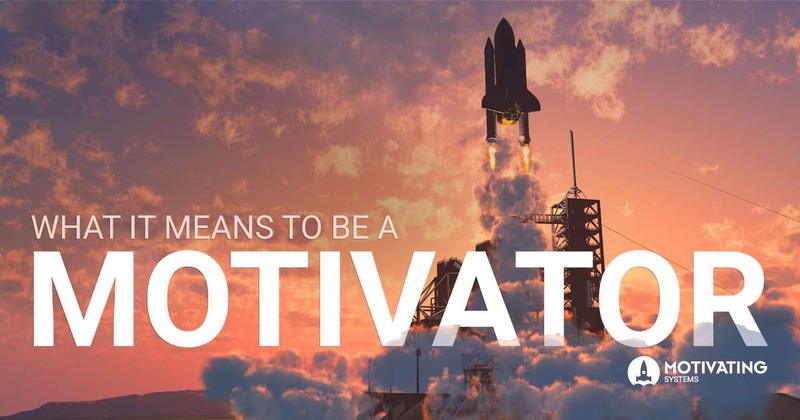 Instead, we like to call our team “Motivators.” For us, that’s more than just stating the obvious connection to our company name. Our team of Motivators is intentional with all aspects of our workplace culture, including our words, actions, teamwork, and the things we choose to do or not do. We are big believers in the power of positivity and being intentional with your efforts. I really do believe that we have a phenomenal team of Motivators. Our mission is helping schools and businesses to improve and refine their culture. But what is culture? At its simplest, culture is the values, beliefs, attitudes, and assumptions shared by individuals at all levels of an organization. This culture can be positive or negative to varying degrees, and it can affect productivity both in the workplace and at school. Think of it as a “can do” attitude. At our core, we are helping organizations to be their best. And every Motivator believes in this mission and its impact. Yes, our entire team, from developers to sales and everyone in between. We are here to help others do better and by working hard every day towards that goal, we are better. Better team members and better people in general. We are believers. There is no organizational culture that is incapable of positivity. We believe in the power of intentional focus. We believe in the generosity of the human spirit and in the boost you get from helping others. And we are 100% certain that we can help schools and businesses be the best version of themselves. Make no mistake about it, we are a team. And just like any great team, we grow together. We openly encourage team members to ask for help when needed and to offer their help to others. One of our unwritten rules is, “If you see someone who needs a hand, and you can offer assistance, then offer your help.” We trust in and rely on each other. Many times, there is a new — and maybe better — way to do something. We aren’t shy about trying new ideas and looking at a question from a different angle. Innovation is the guiding force behind our software offerings, and it is the method we use to continually improve our products. Working with schools and businesses of all kinds requires a level of energy that can only come from believing passionately in your work. This energy means we’re flexible and willing to go the extra mile. We might not be the only company focusing on helping others build a better organizational culture, but we are completely sincere in our intent. When we face a challenge that has us stumped, we’ll admit to it. And we always seek to be a reliable and trustworthy partner for our customers. A large portion of our staff have a lot of experience at software development, but that doesn’t mean we know it all. In an industry that’s constantly evolving, there is always room to learn. Each Motivator brings a unique set of skills and perspective to the team, and we all learn from one another. Our guiding principle might be best stated as, “If it is the right thing to do, then do it.” Each Motivator is here because of their kind, generous nature. We trust one another, and we move forward as a company because that trust is the foundation for decision making. As you might imagine, the types of individuals who work here at Motivating Systems inspire respect among their fellow Motivators. We come from a wide range of career backgrounds and viewpoints, each person’s experience is valuable. We take this approach with the organizations we work with, as well. When we talk about our company mission to help improve organizational culture, we’re not exaggerating. We believe, however, that positive culture begins with us. Each member of our team of Motivators works toward building a positive workplace culture within our own office. We believe it shows! Does my description of a Motivator sound like you? If so, I encourage you to check out our career opportunities. We are growing and continuing to build our phenomenal team. Join us!